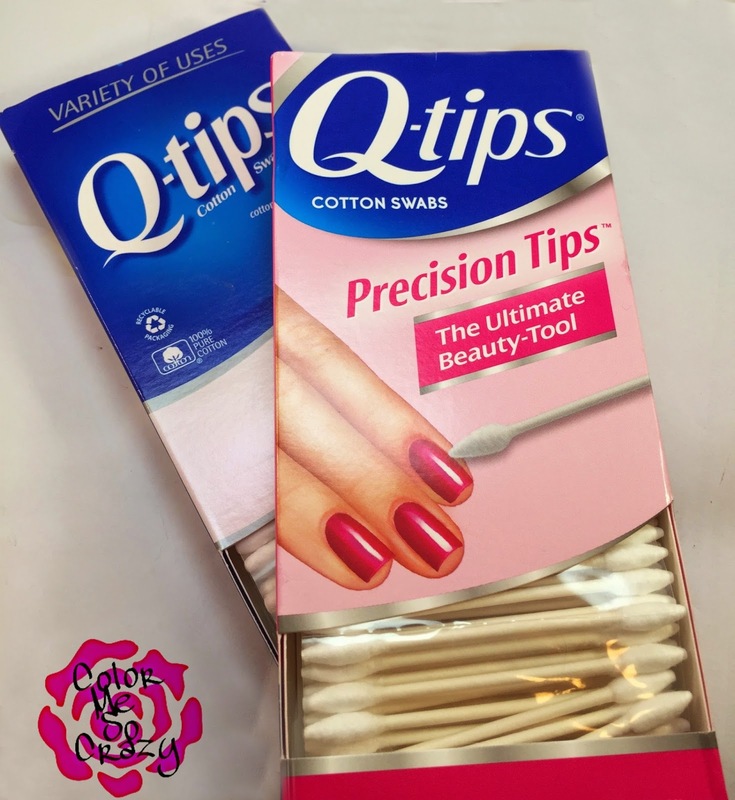 Today, I am so excited to share with you a great partnership with Q-tips. 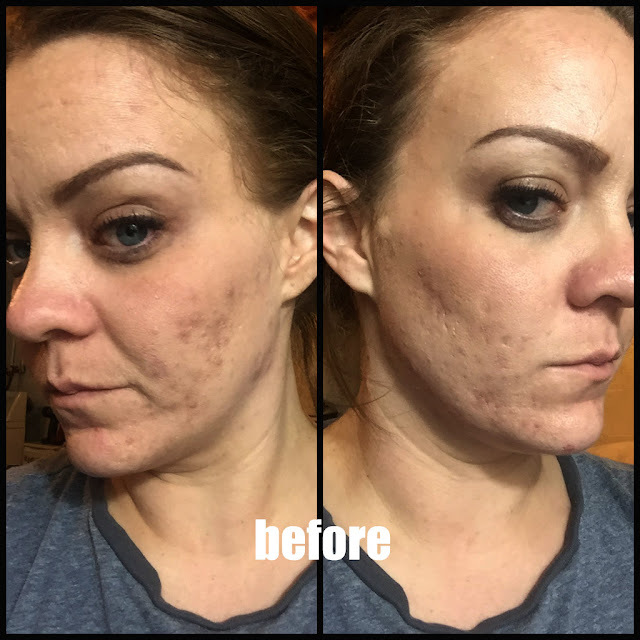 This is a product that I use so much in just about every part of my every day beauty routine. I use them for makeup application, makeup cleanup and especially nail polish cleanup. I am especially excited to show you how easy the Q-tips precision tips can make your cleanup. Now, I have an endless supply of Q-tips in all of my beauty bags because they are so crucial to my beauty routines. I have them in my makeup bags because I use them to help pull out the wings for my line, apply concealer, clean up the fallout from my shadow or to fix that left brow that arches a wee bit more than the right. I also have them in my glam nail bag for those quick clean ups. I especially love the Precision Q-tips for my nail polish jobs. They get in the crevasse between my cuticle and my nail bed and make a nice clean look. I used Precision Q-tips for this cleanup job. They are great for many reasons. Below are some tips right from Q-tips. The Ultimate beauty tool, with tapered ends specially designed for precise application and touch-ups for nails, eyes, lips and more-perfect for achieving the ultimate holiday makeup look. 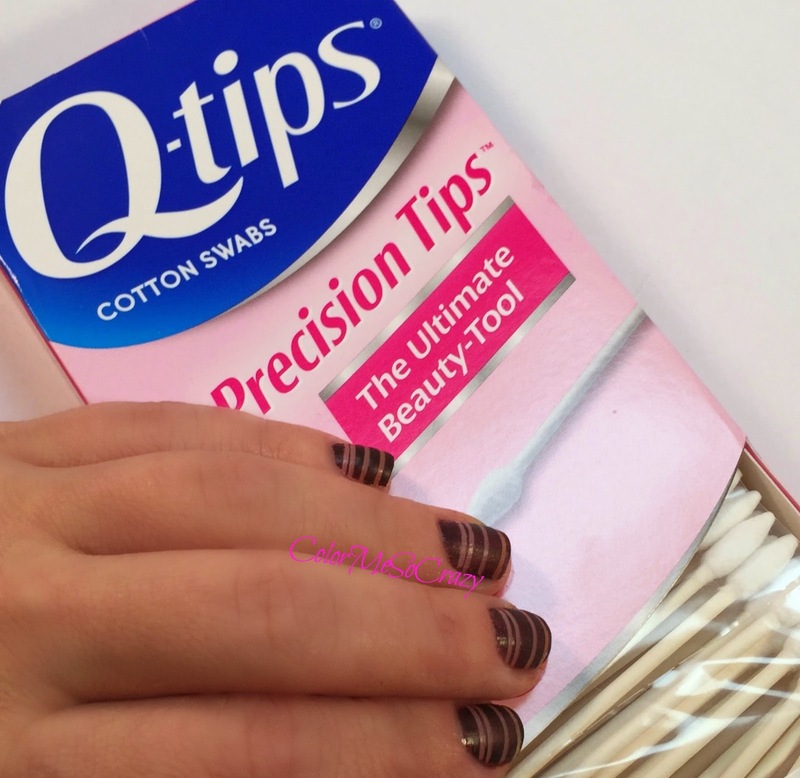 Precision Q-tips are so great for nail polish cleanup. They are so accurate especially for little tiny nails like mine. I especially love them for doing delicate nail art like the one I am featuring today. I decided to do a negative space nail art with clean crisp lines to show. Q-tips Precision tips make this so easy. With such a accurate tip, one swipe is all I need for clean up. 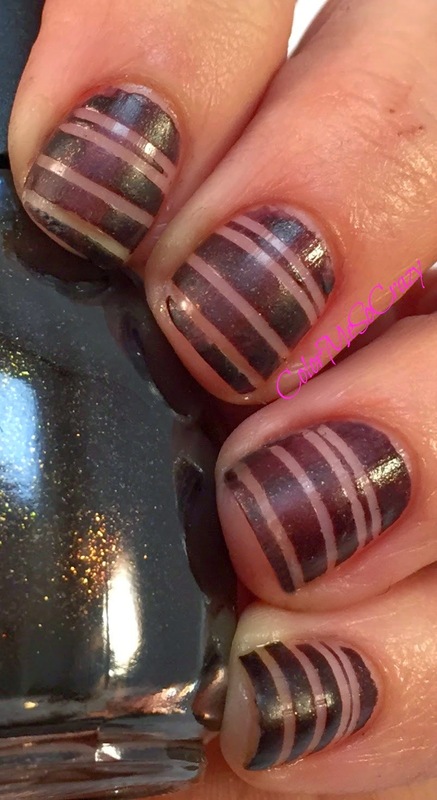 This look is so great for the Holidays since all you need is some tape and 1 color. I used a matte shimmery brown. This would look great with any color. Red, Green event GOLD- which is the ultimate Holiday Glam Look color this season.Making pattern of lines is the fun part. Mixing and matching is what is in this season, so make this fun. Add a gold accent nail and do negative space dots or clean it up with the Precision Q-tips to finish it off. Since Q-tips are gentle enough to use on your eyes, I know that they are ok to use on my cuticles. **TIP** When doing massive nail art like Water Marbling, I apply petroleum jelly with Q-tips around my cuticles to make for any easy cleanup. When I am done with the art, I take a Q-tip and just wipe the petroleum jelly back up. It takes all of the polish that spilled over and wipes right up, so easily. So, what do you think of the Negative Space nail art for a Holiday Look?? 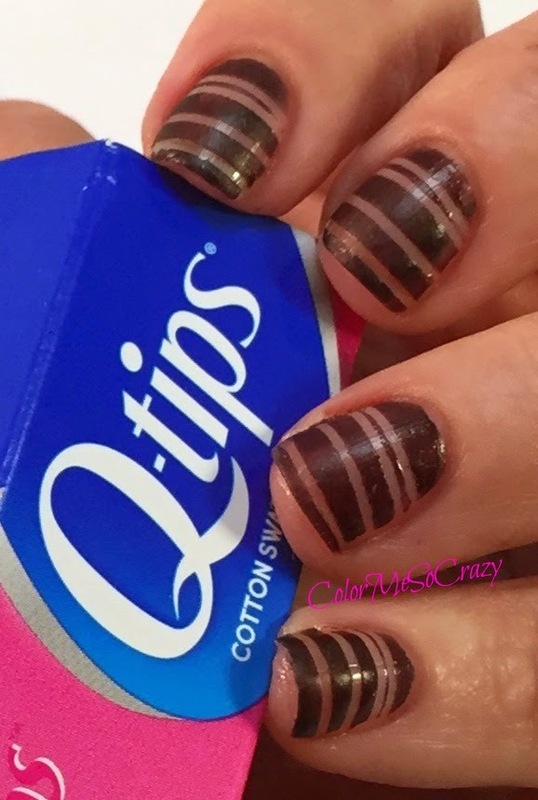 If you are on the hunt for more ideas, you can check out Q-tips Instagram page HERE. There are tons of Nail Art ideas. Scroll Away!! Stay tuned, because I am planning on doing a Holiday Glitz Glam makeup look for you using ONLY Q-tips. In the meantime, go check out what kinds of nail art you may want to try for the Holidays.